After days of uncertainty with the weather forecast, Saturday 11th August saw the gloom of the week replaced by the sun and thousands of visitors descended on the ever popular Ardara Show! By noon the two areas at Sandfield, made available by the National Parks and Wildlife Service, were packed. With livestock in one area and the marquee, trade stands, dog show and entertainment – featuring Ireland Got Talent very own Mini Puppet Pop Stars – in another, the event provided a key day of attractions for visitors from the locality and from much further afield. 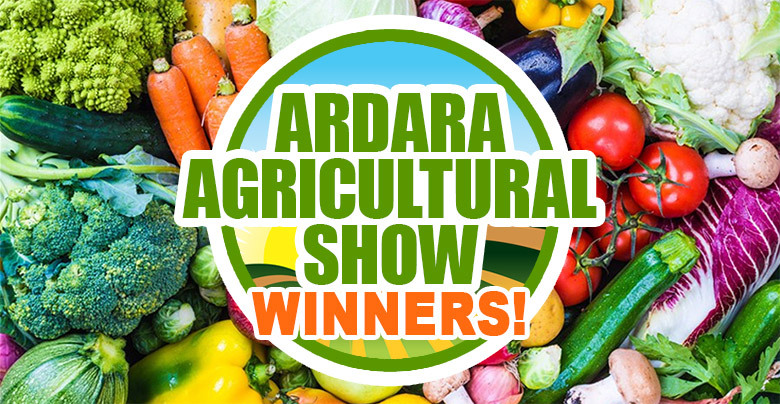 The Ardara Show was officially opened by The Gavigan Family as the late Pat Gavigan was a long serving stalwart in the Ardara Show and it was an honour to have his family open the event in 2018. The quality of entries in the sixty class livestock section brought praise from the judges, as did entries in the marquee where 120 classes included cooking, garden produce, needlework, crafts, home-made wine, photography, painting and a children’s section. There was an impressive display of vehicles by the Mid-West Donegal Vintage Club, and birds of prey were presented by Pedro Soltani. The well supported dog show, sponsored by Pedro Pet Foods, brought entries from the local area and as far afield as the UK. In its second year our very popular Mega Raffle saw the 1st prize of a Reg Pedigree Limousin Heifer make its way to Dublin to Amy Fitzmaurice. Show night finished in the wee hours of Sunday Morning in the Nesbitt Arms Hotel with dancing to the ever popular Sean McMonagle. Champion Calf and Champion Animal: Martin Shovlin, Brenter. Donegal Charolais Championship Champion: John McElchar, Lifford. Donegal Charolais Championship Reserve Champion: Harold & Bobby Given, Ardara.